In 2016, DK published this new edition of one of their best books. 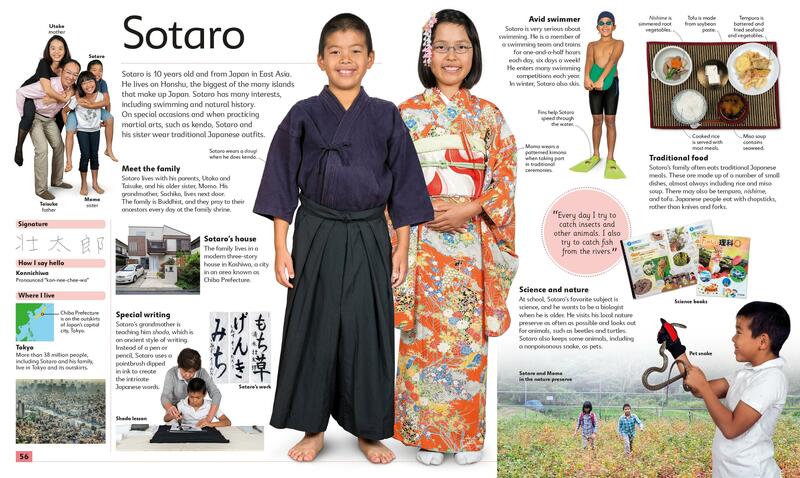 Learn about kids from other countries like Sotaro from Japan, along with their language, traditional food, and interesting things about each. As always in a DK book, great photos abound. 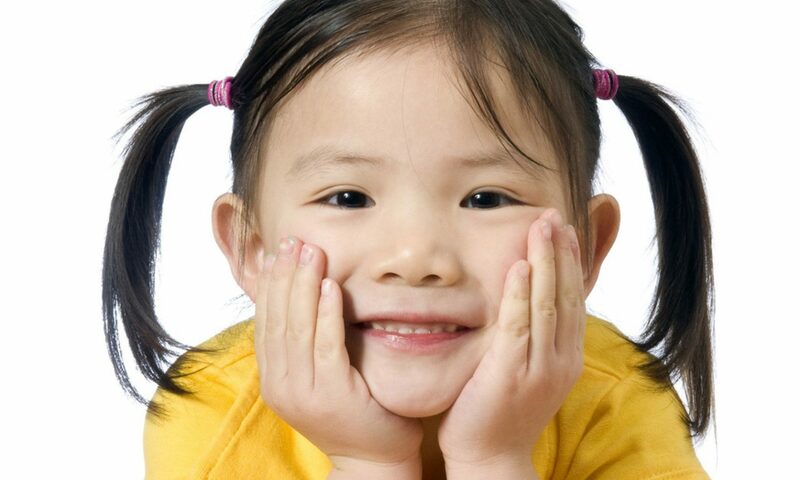 Most children in the U.S. have no idea what it takes from some children in other parts of the world to go to school or what their schools look like. 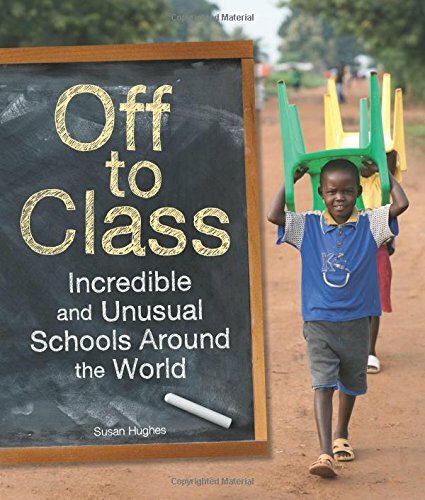 Children have an amazing capacity to learn most anywhere, and the will to learn is strong around the world as you will find out in this amazing book. 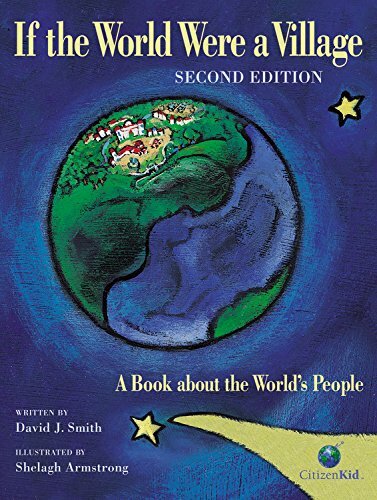 The numbers of people on earth are hard to imagine so the author asks us to think of the world as a global village with a variety of neighbors representing other cultures. 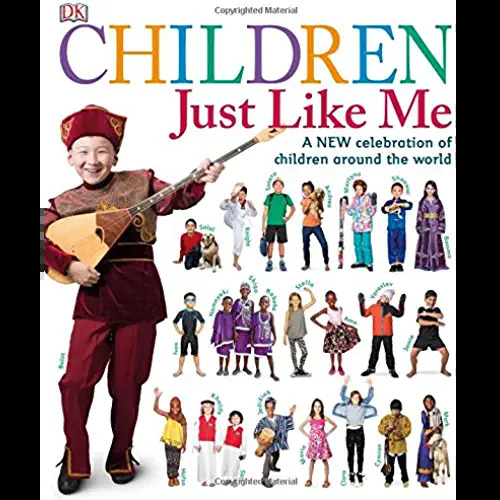 This teaches kids and adults about global diversity without boundaries. After all, we are one people on earth. With beautiful illustrations by Shelagh Armstrong.